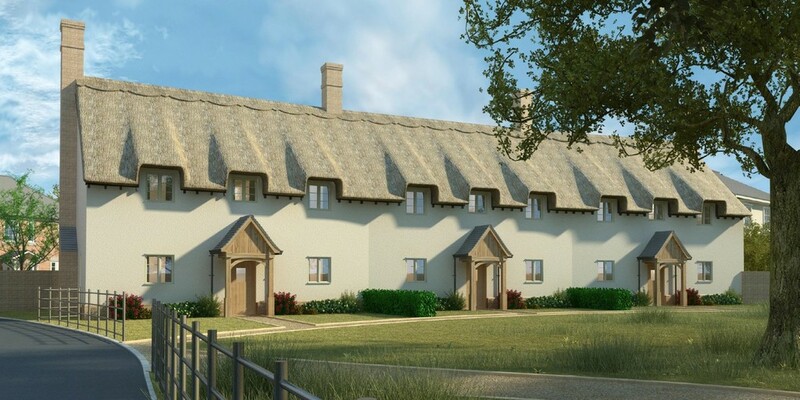 Plot 6 is a thatched end terrace comprising of sitting room, kitchen/dining room, snug, utility, three bedrooms, ensuite, family bathroom, gardens and garage. Shottery Green is set in the centre of the Shottery village conservation area, and over time will become part of the fabric of this ancient Warwickshire community. Plot 8 is a thatched end terrace comprising of sitting room, kitchen/dining room, snug, utility, three bedrooms, ensuite, family bathroom, gardens and garage. Shottery Green is set in the centre of the Shottery village conservation area, and over time will become part of the fabric of this ancient Warwickshire community. Plot 7 is a thatched mid terrace comprising of sitting room, kitchen/dining room, snug, utility, three bedrooms, ensuite, family bathroom, gardens and garage. Shottery Green is set in the centre of the Shottery village conservation area, and over time will become part of the fabric of this ancient Warwickshire community. Mackintosh Manor House kitchens combine authentic British craftsmanship with contemporary design features and incorporate quartz worktops. Siemens integrated appliances will include gas hob, oven, dishwasher and fridge / freezer together with wine cooler and kettle tap. Bosch washing machines and dishwashers will be provided in the utility areas where applicable. All sanitaryware will be provided by Villeroy and Boch from their Subway 2 range with Hansgrohe taps and showers. All showers will be fitted with Merlyn shower screens and cubicles. Wall and floor tiles are from Porcelanosa’s range and fitted full height and half height as necessary with complementary paintwork to non tiled areas. Mirror frontage storage cabinets with demisters and integrated lighting will be fitted above wash hand basins set in vanity units. Polished chrome towel rails will be fitted with summer heating elements. Showers will be fitted within enclosures with low profile shower trays or walk in partial wetrooms with glazed screens depending on position. All wc’s will be fitted back to wall with enclosed cisterns and soft close seats. Shaver / toothbrush charging point. Staircase with oak handrail, newels and square spindles. Solid Oak doors with brushed chrome ironmongery. Underfloor heating to ground floor and first floor bathrooms and en suites. Thermostatically controlled radiators to first floor. Energy efficient and sustainable Mitsubishi Ecodan (or similar) air source heat pumps with MEL cloud remote operation. Ceramic tile floors to kitchen / family rooms, cloaks, bathrooms and en suites. Wardrobes to bedrooms 1 and 2. White painted ‘Groove’ routered feature 175mm skirting and matching 75 mm architrave. Brushed chrome switches and sockets. LED downlighters throughout with dimmers to main rooms. Sockets with integrated USB charging points in bedrooms, kitchen and lounge. 15 amp table lamp circuit in lounge. CAT 6 infrastructure for HD / data distribution to kitchens, sitting rooms and bedrooms. Hard wiring for sound system to lounge, dining room, kitchen and master bedroom. NACOSS approved intruder alarm system. External lighting to front doors. Paved patio areas and paths. Block paviors to drive areas. Lighting, power and car charging points to all garages and timber doors where applicable. Properties will be assessed for tax banding upon completion and council tax is payable to Stratford District Council. Mains electricity, water, gas and drainage are connected to each property and provision is made for connection to BT and Virgin Cable networks. The properties are freehold and sold with vacant possession.